How Do Drying Techniques Affect Dried Egg Quality? Egg processing continues to grow around the world, with an increased demand for dried egg products for industrial as well as consumer uses. The results of two poster presentations on dried egg processing were presented at the International Poultry Scientific Forum (IPSF) in Atlanta, Georgia, US in January 2016. Alexander Williamson and John Carey from Texas A&M University examined the impact of drying time on the weight of solids from the egg yolk and the albumen (white). In the first experiment, 22 fresh eggs were broken and yolk (with vitelline membrane) and albumen pools were collected. The yolks were subjected to 30 seconds of blending in a kitchen blender prior to analysis. The albumens were gently stirred prior to analysis. Disposable foil pans were then weighed and 5ml of yolk was pipetted into one set of pans and 10 ml of albumen was pipetted into a second set of pans. All pans were weighed to the nearest 0.001 g prior to placement in drying ovens at 100°C. For experiment 1, the drying times tested were 16, 20, 24, 28 and 32 hours. The second experiment utilised egg component pools collected in the same manner as described for experiment 1. 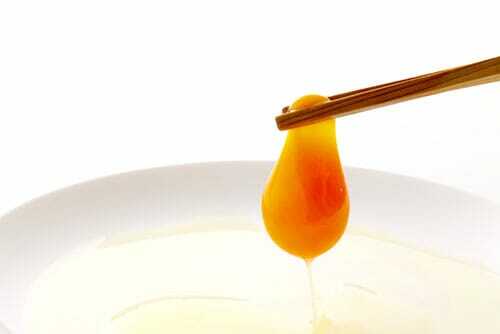 Drying times for yolk were 24, 28, 32, 36, 40, 44 and 48 hours and drying times for albumen were 24, 32, 40, and 48 hours. The results for experiment 1, yolk solids determination, revealed that the solids detected in the samples decreased throughout the 32 hours of drying with no apparent end point. Solids measured at 16 hours of drying was significantly greater than at 24, 28 or 32 hours. Solids detection for albumen reached a minimum at 24 hours, which was significantly lower than 16, 20 and 32 hours. In experiment two, both yolk and albumen solids were lowest after 40 hours of drying. Yolk solids were significantly lower at 40 and 48 hours compared to 24, 32 and 36 hours. Albumen solids were significantly lower at 40 hours compared to 24 hours. The results of these experiments indicate that the common method of drying yolk or albumen samples for 24 hours may not truly reflect the solids content of the components. Elisa Ponsano and Thiago Grassi, from Universidad Estadual Paulista (Unesp) in Brazil, indicated that spray drying technology is widely used to produce powdered eggs, commonly used nowadays in food industries due to advantages like ease of transportation, handling and stocking, besides the advantageous microbiological grade. 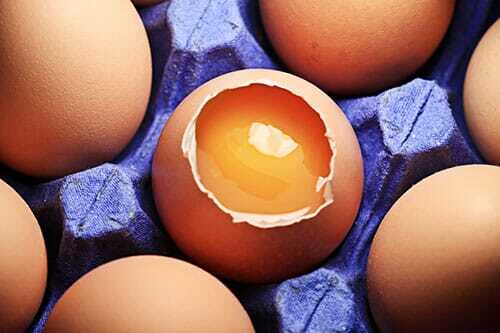 Nevertheless, to ensure the quality of food prepared with the powdered products, the drying process should preserve the composition, sensory and functional properties of the eggs. The purpose of this study was to evaluate the effects of the temperature used for spray drying eggs on the moisture content and the colour of the powdered products (white and yolk) and on the process yield. Whites and yolks from retail eggs were diluted in distilled water and spray dried at 90°C, 120°C and 150°C (5 replicates). Drying yield was measured as the ratio between whites or yolks used and the respective powdered products. Moisture was measured at 105°C. Lab colour was measured with a portable colorimeter and the colour difference distinguishable for the human eyes was calculated as ΔE = √ (ΔL2 ) + (Δa2 ) + (Δb2 ). The higher moisture of the powdered whites and yolks obtained at 90ºC were probably responsible for the lower yields found for the same temperature due to the adherence of the powders to the dryer chamber, thus hindering the powder recuperation. Lightness was lower and yellowness was higher on the egg products dried at 150°C, probably due to Maillard reaction. More than damaging the colour of the egg products, Maillard reaction may influence the nutritional properties by reducing essential amino acid availability and protein digestibility. Colour change at 150°C was considered “easily distinguishable” for the powdered yolks and “distinguishable” for the powdered whites. That means that the higher temperature used for the egg spray drying may cause colour changes perceptible by the consumer and could cause rejection at purchasing. It was concluded that the highest temperature used for the eggs spray drying influenced the moisture content and provided the highest yield but caused noticeable changes in white and yolk powder colours.